the world's largest range of digital content. Many more additions and improvements are listed here. Mar 2018 Geoff Rowlands found a way to model 3D controls so they can be grabbed by the handle as in this video. Nov 2017 Open Rails trialled with Monogame instead of XNA uses less RAM and give higher frame rates. Feb 2017 3D cabs available commercially - see video. In his Series 5, Nicholas Ozorak publishes a review of the fictional Full Bucket Line running in Open Rails. See more with this YouTube search. Please note: This Open Rails download does not include any content - no routes, trains, activities - just the simulation program. 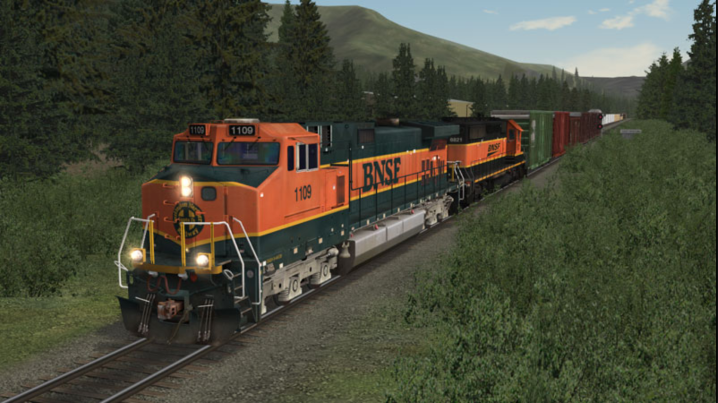 If you have content suitable for Open Rails or Microsoft Train Simulator already in place, then you can use the Open Rails program to operate those routes and drive those trains straight away. If not, then you will need to install some models bought from a vendor or free from the community before you can use Open Rails. Or you can try out the 2 self-installing models on our home page - both free of charge.